The word ’development’ has always been an integral part of the present in Søndervig. Ever since the end of the 19th century, when the seaside town started growing, it has moved with the times and made changes. The first bicycle route in Denmark went from Ringkøbing to Søndervig, so the fine families could get to the sea and enjoy the bracing ocean air. 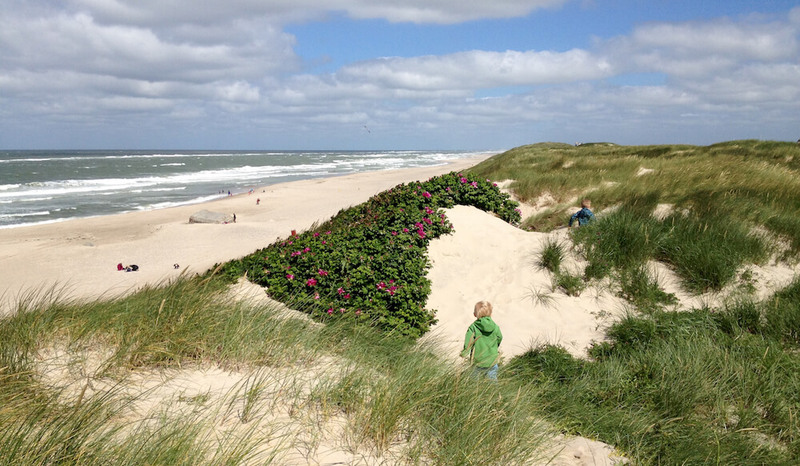 Throughout the years, Søndervig has experience innovation and the need to protect the authentic atmosphere that has always made the seaside town a destination in the midst of nature for the many people that want to visit the North Sea, the beach and open spaces. As time has gone by Søndervig has developed to become the ”Gateway to the North Sea” and, as the history of the town has shown, it is constantly developing and changing. Søndervig’s future is found in the present in the many proposals and ideas that are constantly knocking about in the heads of the seaside town’s numerous entrepreneurs. New projects see the light of day annually. Some are realised. You can read about them here.